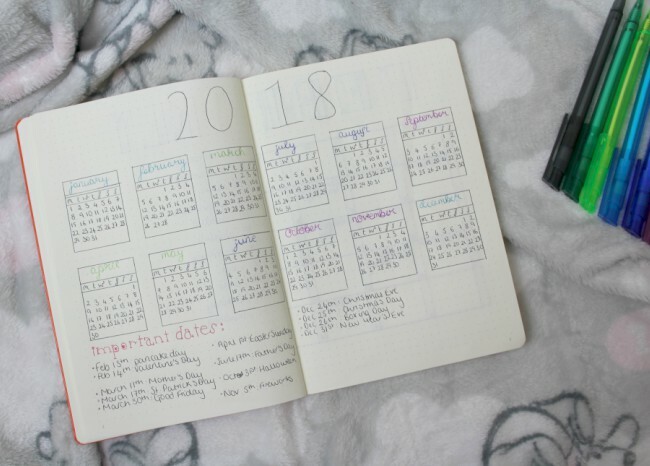 I'm so excited to share my first bullet journal post with you all, even if it is roughly three years later than everyone else. I'm loving my bullet journal more than I ever imagined, and with the masses of bujo inspiration out there now, I'm kinda glad I waited. I've got big plans for this little journal of mine, and I can't wait to share my favourite pages and set ups and also learn more and more about all the things you can do with these. I spent an ungodly amount of time choosing exactly what kind of bullet journal I wanted. Dragging my sister around basically every stationery shop I came across until I found The One was a great way to spend an afternoon (for one of us. Seriously, it took hours). In the end I went for a dotted Leuchtturm 1917 in orange (which you can get here). This is the brand that I've seen most people talking about, and I'm so glad I splashed out on the journal because it's just so beautiful. I got mine for £16.99, making it the most expensive piece of stationery I own, but it's just perfect. The pages are numbered, the paper is of a really good quality, it's sturdy, it's got a contents page you can fill in and there's a little flap in the back for any receipts you want to keep. There are so many little touches in this that make it such an ideal piece for what I want. I went for a dotted journal in the end because I felt as though it would allow me to be more creative than a squared or lined journal. 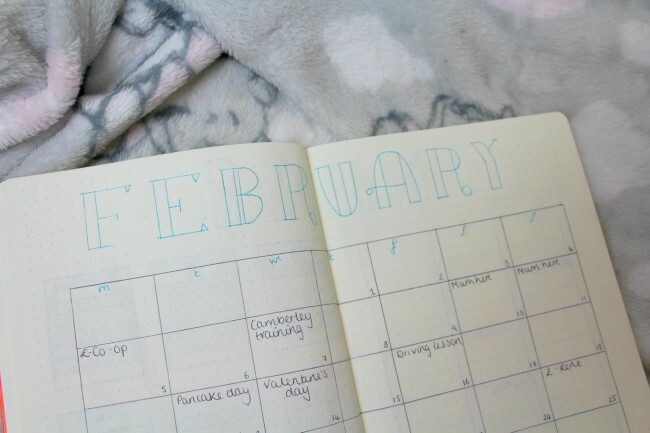 I could create grids without wonky vertical lines that would be there on a lined bullet journal (which would break my heart), and I could leave gaps that weren't highlighted by squares. Along with the journal, I picked up a pack of multi-coloured Staedtler biros. Biros are a medium that I'm very comfortable using, and whilst I've been setting everything out in pencil first, I'm gradually getting more confident as I go over things with the pens. I started with a key because, well, where else are you going to start? 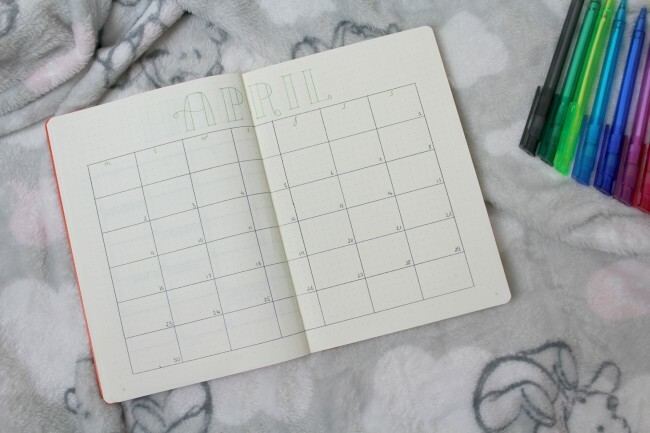 I spent a long time thinking about how I wanted to set up the first few pages, so after my key came a big double page yearly calendar spread with important dates noted beneath it. This is something that's just fab to reflect on to consider what day of the week dates are, and to look over the whole year as a whole. Next up, I set up a double page spread for each month. This took so long, but I'm so glad I did it. I've found these pages beyond useful in February and March so far, and I know that they'll help me keep on top of things as the year goes on. In each month I've filled out important birthdays, driving lessons, appointments, pay day, bill days. Anything that involves me remembering a certain time/day is in there. I'm loving seeing my calendar build up as the month goes on, and it's just fab to have that overview available. I've got a few other pages done now which I'm so proud of, but I'm going to save those up for a big overview of all my 'main page' setups. I'm absolutely LOVING my bullet journal. I always thought I wasn't creative enough to really get going with one, but it really was me holding me back, not a lack of creativity. I can't wait to create more pages and get really stuck in. Love this post! 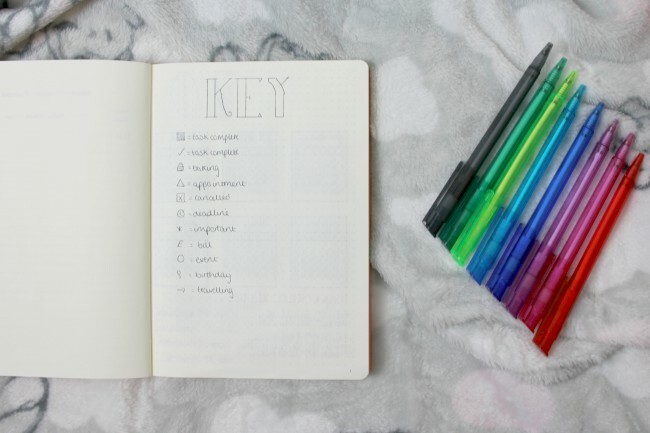 I've been thinking of starting a bullet journal so it was very helpful! I found it so hard to get things going too, but Pinterest really helped with it! I really love this!! I want to start one so bad but I know I won't do it lol!